Test Drive CFGB with Our Two-Week Trial Starter Package! We are more than happy to let you try before you sign up for a long-term membership! If we don’t earn your business then we don’t deserve to have you as a member. Please choose your best two-week trial option below. Come to the first two weeks of our beginner classes and get started with our “On Ramp” course. This is a 12-session course that we hold each month that covers all the basics of the CrossFit program including exercise and nutrition. These classes meet three times a week for 4 weeks. The “On Ramp” course is designed to teach you the correct technique of the CrossFit movements and ease you into the intensity of the workouts. Each class begins with a warm-up with a coach, and then the coaches teach you proper technique for the movements that you will be doing in the workout that day, everyone then does the workout together, and then there will be a short nutrition talk at the end of each class. Invite your friends/family members: You’re welcome to bring any friends/family members that are interested, too. Experienced? Start with a 2-week trial with unlimited classes! Join us for a two-week trial and receive full access to all of our classes, community members, and coaches. 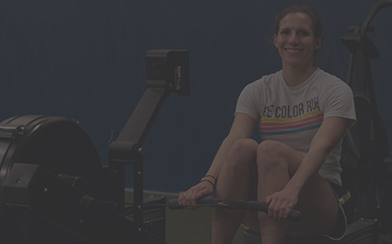 Accelerate your performance and experience all that is CFGB – Sign up today! Not sure which is best for you? Join Us for a Free Introductory Session! Start your with one of our free introductory sessions.  This is a great way to learn more about CrossFit Glen Burnie. Check our calendar and register for one of our free introductory sessions. What should you expect during this free session? Generally, we start by talking a bit about CrossFit, and help you to decide if CrossFit is right for you. Then, after talking about CrossFit and answering your questions, we will help you with your first CrossFit workout with us – together, we will warm up and explain the movements involved in the workout. Each athlete will do the same workout, but each will receive a custom ‘scaling’ based on his or her abilities. From there, we execute the workout and coach you through it. The session ends with a cool-down and time to answer any remaining questions.